With second-bottom Dalbeattie completing a shock comeback at home to defeat Kelty Hearts 2-1, the Midlothian outfit’s fate will be sealed if they fail to beat East Stirlingshire and Star claim maximum points from their encounter with Stirling University this weekend. Whitehill battled hard but fell behind in the 77th minute when defensive midfielder Jake Smith converted from the penalty spot. The home side doubled their advantage four minutes later through Kevin Connelly before frontman Scott Wright netted a late consolation, his fourth goal since arriving from Blackburn United in January. “We’ve been playing a lot better recently but just aren’t getting the results,” Little admitted afterwards. “We’ve got four games left, albeit it’s now outwith our own hands. Meanwhile, Civil Service Strollers leapfrogged Kelty into third place in the table, despite drawing 2-2 with Gala Fairydean Rovers at Christie Gillies Park. Jordan Hopkinson continued his recent scoring spree by firing the home side in front after just five minutes. 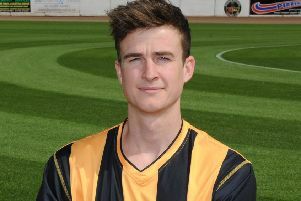 The Borderers were back on level terms just beyond the half hour when Josh Donaldson brought down Ruari Paton in the penalty area and the Hibernian loanee slotted home the resulting spot-kick. Civil regained the lead with 13 minutes remaining courtesy of David Churchill who rounded the Gala keeper and slid the ball into the empty net. There was still time for the visitors to respond and they did just that in the first minute of stoppage time when Paton arrowed a free-kick from just outside the box over the wall into the top corner. Edinburgh University’s wait for a first league win since November continued as they crashed to a disappointing 2-0 defeat in their re-arranged fixture with Edusport Academy. Dorian Ogunro saw four of his students selected to play for the Scottish Student Football team in a midweek friendly against League One side East Fife. But they failed to prevent Gavin Stokes and Matthew Flynn from scoring as Edusport left East Peffermill with maximum points. Elsewhere, leaders East Kilbride were held to a goalless draw at home to Cumbernauld Colts, meaning their title celebrations were put on hold. Stuart Malcolm’s side host champions Spartans to K-Park tomorrow night. 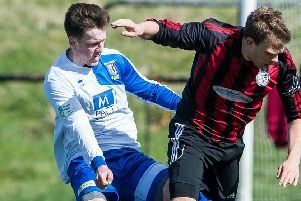 Kilby will be eager to exact some revenge following their calamitous final day capitulation last season, which handed Spartans their second Lowland crown in four years.